Included in your program fee is a range of day trips and a 3-day excursion which take you outside of St. Petersburg to deepen your social, historical and cultural understanding of Russia. Begin your semester with a 2-night visit to London en-route to St. Petersburg. This will allow you to relax, recover from jet lag and get to know your fellow classmates while touring England’s capital. Take a sightseeing tour with a professional guide who will point out some of London’s most famous landmarks including Buckingham Palace, Westminster Abbey, the Houses of Parliament and the Tower of London. There is free time to explore the city on your own where you can take in the gorgeous parks and gardens, see a play in the West End or shop for vintage clothes at Camden Market. After leaving St. Petersburg, take time to wind down in London before your return to the U.S. 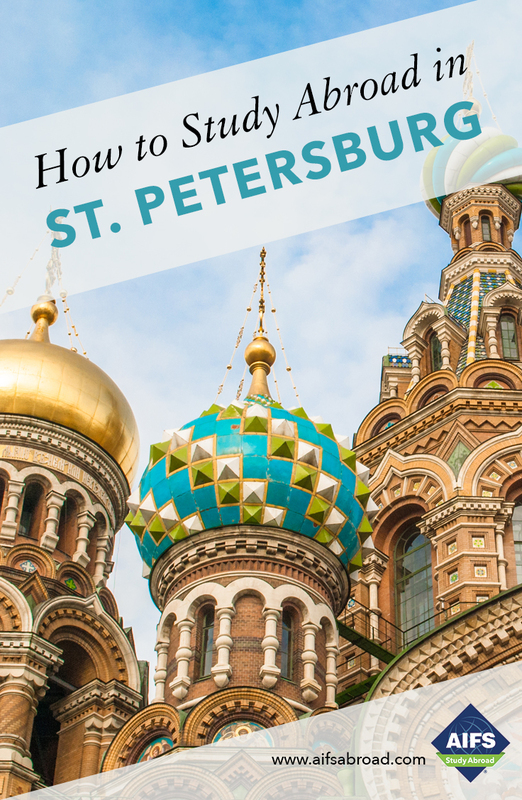 The pre-semester visit includes accommodation, breakfast, sightseeing tour, local guide, airport transfers and the London - St. Petersburg flight. The post-semester visit includes accommodation and breakfast (depending on flight departure time), airport transfers and the St. Petersburg - London flight. Students who do not take the AIFS Flight Package are responsible for arranging their own U.S.-London, London-U.S. flights according to the most up-to-date itinerary. Visit Russia’s capital and largest city which has long been among the most prominent cities of Europe. With many well-preserved czarist monuments interspersed among 20th century buildings, it is the home of the Bolshoi Opera and Ballet, the Moscow Art Theater, the Tchaikovsky Concert Hall and many smaller drama theaters. Chief among the city’s many museums and art galleries are the Pushkin Museum of Fine Arts, the State Tretyakov Gallery (mostly Russian Art) and the Kremlin Museum. The excursion ends just in time for the one-week semester break. You will have 6 days for independent travel after the trip. AIFS provides a return train ticket from Moscow to St. Petersburg. Includes transportation, accommodation, breakfast, sightseeing and the services of a guide. Full-year students do not participate in the Moscow excursion in the spring and this is reflected in the fee reduction. Marvel at the gold which decorates the interiors of the Palace as well as the world-renowned Amber Room, restored according to photographs of the original which disappeared during World War II in a mystery that has never been solved. Includes transportation, local guide and entrance fees. Located on the Gulf of Finland, Peterhof or Petrodvorets was the summer residence of the Tsars. Famous for its fountains, magnificent palaces and gardens, Peterhof is one of the most treasured of St. Petersburg’s environs. Includes transportation, local guides and entrance fees. Visit the very heart of ancient Russia. Enjoy the fairytale like feel of Veliky Novgorod’s Kremlin and chapels and wonder at the interiors of St. Sophia’s Cathedral, the oldest in the Russian Federation. After a tour of the palace given to Paul I by his mother Catherine the Great, enjoy a long walk in one of Europe’s largest parks. Relive your childhood, in the fall semester, by kicking through the beautiful golden leaves or in the spring semester by joining the children sledding! Visit the heart of the Baltic region, historically the crossroads of east and west. The excursion includes the two great European cities of Helsinki, capital of Finland (former autonomous Grand Duchy of the Russian Empire), and Tallinn, capital of Estonia (former Soviet Republic). Fee includes transportation, accommodation, breakfast and sightseeing as indicated. A minimum enrollment of 10 students is required for the excursion to run.